If there is one thing we can all agree on it’s that everyone loves Lucy Ricardo. Thanks to six seasons of groundbreaking sitcom shenanigans on I Love Lucy (plus three more on The Lucille Ball-Desi Arnaz Show), the indomitable (fake) redhead’s place in pop culture history is rock solid. Lucille Ball breathed life into the character by relying on her impressive slapstick skills and ability to effortlessly flit between Lucy’s devious schemes and her childish subservience to her husband Ricky (Desi Arnaz) in a way that maximized comic effect. Part trailblazer, part 1950s cultural stereotype, Lucy is easily the most recognizable female character to ever grace the small screen. So just imagine what it must have been like to be her best friend. As long as there have been television series, there have been sidekicks. Barney Fife, Ed Norton, Rhoda Morgenstern— a string of characters lovingly dubbed “second bananas,” but the most famous member of the second-tier club is Ethel Mertz, the dowdy housewife who took on the often challenging role of being Lucy’s best friend. Ethel was designed to be a supporting character in the purest sense of the term. She was older than Lucy, less fashionable, and saddled with a curmudgeonly crank of a husband in Fred (William Frawley). Her defining characteristics were a love of gossip and an inability to resist going along with Lucy’s disastrous attempts to dance her way onto the stage of the Tropicana Club. Ethel was average to her core: bored, slightly dissatisfied with her life, and, as we saw in season four’s “Ethel’s Birthday,” perfectly content receiving an iron as a birthday gift. Without Lucy and her glamorous escapades, Ethel’s life would have been exceedingly dull. 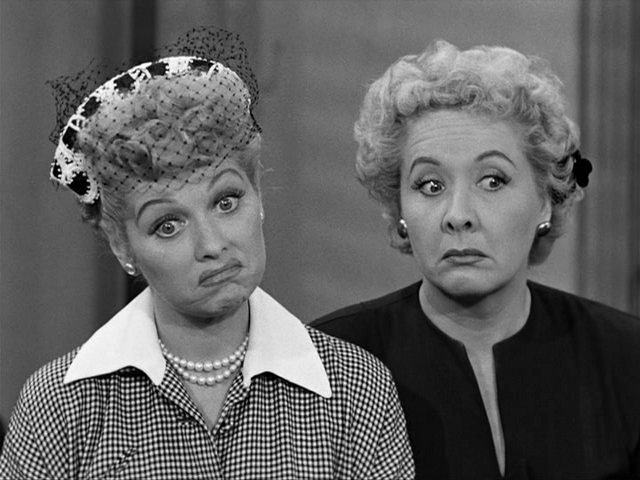 Luckily, she did have Lucy, and more importantly she had Vivian Vance. It was I Love Lucy director Marc Daniels and Desi Arnaz who approached Vance about taking the role of Ethel. At the time, Ball wasn’t entirely on board with the idea. The Ethel she had envisioned was far older than Vance, who was a mere three years Ball’s senior, but Vance was hired anyway. Ball may have questioned the decision at the time, but there is no denying that Vance did something special with what in lesser hands could have been a thankless role. Ethel: Gee, this high altitude sure gives me an appetite. Fred: What’s your excuse at sea level? Later, after a round of confessions in the cabin where Ethel revealed she broke Fred’s glasses (which caused him to misread a map and send Ricky’s band to the wrong town), Ethel apologizes for calling Fred a “dumb bunny” only to have him respond with, “And I’m sorry you’re so fat you sat on my glasses and broke them.” Sadly, those jokes weren’t out of the ordinary for the series. Even Lucy would occasionally get in on the act, creating the sort of toxic running joke that would be damaging to even the most confident person’s body image. Ethel: What are you writing about? Lucy: I’m writing about things I know. Ethel: That won’t be a novel, that will be a short story. Existing solely to prop up another character isn’t any actor’s dream job, and Vance would go on to spend her post-Ethel years trying (and failing) to distance herself from the character, but as a supporting player, Vance was incomparable. Ethel existed in an era of television when break-out supporting characters weren’t yet the norm, but Vance stood out anyway. In 1953, she even became the first performer to win an Emmy for Best Supporting Actress, solidifying her status as an icon right alongside Ball. Ball gets the lion’s share of the kudos, but the women were a package deal. Would Lucy have been half as entertaining without Ethel at her side? It’s unlikely. Without Ethel, there would have been no one to balance out the manic side of Lucy’s personality, or to join her in her crazy schemes and business ventures. There may have been tension between the performers early on, but their chemistry provided the series with a focal point. As the series progressed it became more and more interested in dividing the stories down gender lines with Fred and Ricky on one side and “the girls” on the other. This tactic made it clear which corner of the ensemble was the strongest, and it wasn’t the boys’ or even the married couples (side note: if you want to read an excellent dissection of Ricky’s role in I Love Lucy check out This Was TV’s Brian Faucette’s Televising Masculinities column). It may be a trite to say, but Lucy and Ethel were the heart of the series, a truly remarkable feat given the fact that depicting strong female relationships was certainly not a priority for television at the time. As good as Lucy and Ethel were as a unit, it’s safe to say there were far more “Ethels” in the viewing audiences than there were “Lucys.” Like Lucy, Ethel swung back and forth between being deeply problematic and downright subversive. On the surface, Ethel did project the typical stereotype of the gossipy housewife, but she was never a perfect embodiment of the trope. For one thing, she was childless and, as the landlady of the building she and Fed owned, technically employed even though Fred never “allowed” her to have her own checking account. Furthermore, Ethel had a past in vaudeville— just like Vance, hinting at a vagabond lifestyle that’s far more exotic than what your average housewife got up to. Perhaps because of her adventurous past, Ethel wasn’t as blatantly unsatisfied with her lot as Lucy, who constantly pined for a life in showbiz, but she voiced her dissatisfaction in other ways, most notably through exchanging acidic barbs with her husband. The Mertzes’ relationship was played for laughs, but there was an undercurrent of darkness in their constant bickering and sniping. The fact that they, and Ethel in particular, were allowed to express their marital discord so freely is shocking at times. 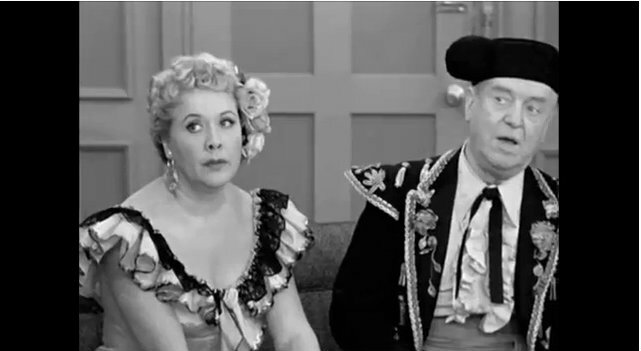 In the season three episode “Redecorating the Mertzes’ Apartment,” when Lucy tells Ethel to “think about what every woman wants from her husband” Ethel quips, “a divorce?” without missing a beat—it’s a joke, yes, but that’s not the kind of joke that women often made during that particular era. In the era of the happy homemaker, Ethel dared to be as sarcastic as she pleased and her willingness to match Fred’s every putdown was surely cathartic for a generation of women standing at the precipice of the second wave of feminism. 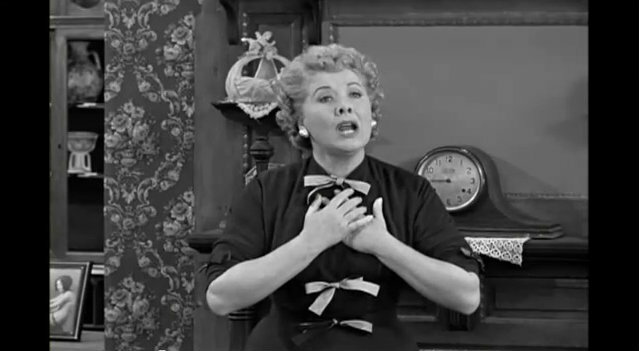 In season four, the series briefly delved into Ethel’s background in “Ethel’s Hometown.” The episode is the purest solo showcase that Vance received over the course of I Love Lucy‘s six seasons. Ethel, Fred, Lucy, and Ricky stop in Albuquerque to visit Ethel’s family on their way out to California, and Ethel allows her father and the rest of the town to believe she’s a big star. It’s one of the few times that we ever got to see Ethel break free from her “shrinking violet” persona and take the spotlight from Lucy (or from Fred and Ricky for that matter). Throughout the episode, Vance seems to relish the chance to delve into Ethel’s ambitious side. The farce ends all too soon with the Ricardos and Fred gently sabotaging Ethel’s one-woman show, and the status quo resumes, but for a moment at least we got to see what things might have looked like if Vance had been the star. In 1957, Arnaz approached Vance and Frawley about starring in their own spin-off show, which Vance wisely turned down, no doubt sparing the world its first AfterMASH. As good as Vance was and as essential as Ethel was to the success of I Love Lucy, the character wasn’t designed to carry a series on her own. She was, after all, a sidekick at heart, and as Vance herself knew, Ethel needed Lucy just as much as Lucy needed Ethel. Even without a show to call her own, the legacy of Ethel can be felt in every best friend combo from Mary and Rhoda straight on through to the raucous ladies of Don’t Trust the B—in Apt. 23. In the end, Vance and Ethel’s most enduring contribution to television was in proving just how valuable a second banana could be. Sabienna Bowman is a freelance writer and regular contributor at TV Equals and Film Equals. You can find her previous work at Wit & Fancy Follow her on Twitter @sljbowman. Lucy: You want to go out and have dinner with the boys? Followed by her genuine disappointment when Lucy clarifies that she’s referring to their husbands. That was an excellent moment. I’ve always been impressed by the level of snark Ethel was allowed to get away with. Her comebacks are genius. A great post on Ethel Mertz and the important role that sidekicks play on television.